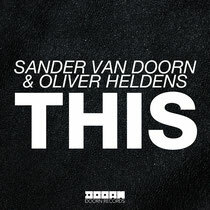 Oliver Heldens releases ‘THIS’, his new collaboration with Sander van Doorn, out on Monday 6 October via DOORN Records. With his breakout year going well, Oliver delivers one of his biggest songs to date as he continues to push dance music with his deep, groove-driven big-room style. Together with Sander van Doorn, the young, Dutch rising star has taken a peak-time Ibiza vibe and injected it into a big tech-house track that has been dubbed, ‘THIS’. Oliver looks to capitalise on all of his success this year, playing numerous high profile gigs around the world and building upon his growing catalogue of productions including his UK #1 ‘Gecko (Overdrive)’ recent Beatport #1s ‘Koala’ and his remix of Dr. Kucho! & Gregor Salto's ‘Can't Stop Playing’.